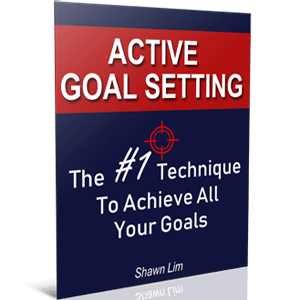 Do you set goals but did not manage to achieve them? Do you have dreams but you have no idea how to turn them into reality? This is exactly what is happening to most people out there. The majority of people have dreams and most of them have goals, unfortunately, they don’t know how to make it all work. In other words, they have the tool, but they have no idea how to use the tool. Don’t worry, it will all change after you read through this article. I’m going to share with you the 3 ultimate keys to making your goals work for you. The question is whether are you willing to follow through. If you follow through, there will be no problem for you to reach your goals and make all your dreams come true. You can set whatever goal you want, but you must focus on the lead measure. In the book, The 4 Disciplines of Execution, the author explained that a lead measure is something that will lead you to your result. A lead measure has a direct impact on your goal. It is something that you can control and it is something that you can act on to improves the result that you are getting. On the other hand, there is another measure indicator call lag measure. And this is where most people get it wrong in setting their goals. If you notice from the above examples, you will see that you can actually ACT ON a lead measure. And the outcome that you get from the action will directly influence the result from your lead measure. In sales, a lot of people will set their goal as to earn X amount of money by a certain deadline. This is not a lead measure. By the time you get to know how much you are earning, it will be too late. Furthermore it is not something that you can act on. However, if you set your goal as to prospect and talk to at least 5 people a day, you will eventually reach your sales target. Your sales target will be influenced by the number of your prospect. So you should focus on the lead measure. And in this case, you should focus in setting target to reach your number of prospect per day. And this will eventually give an impact on your sales target. Can you see it right now? The majority of people put their focus on the lag measure. And when they reach their deadline, they have no idea why they fail to accomplish their goals. You have to focus on measures that will directly influence your goals. You cannot act on the goal, ‘to make $100,000 this year’, but you can act on things like, ‘to build subscriber list to 10,000 by this year’. How do you make $100,000 this year? The answer is to build 10,000 subscribers. The revenue of making $100,000 this year is a lag measure goal, while building 10,000 subscribers is the lead measure goal because when you build your subscriber, you will automatically reach your goal of making $100,000. Therefore, put in all your focus into the lead measures. 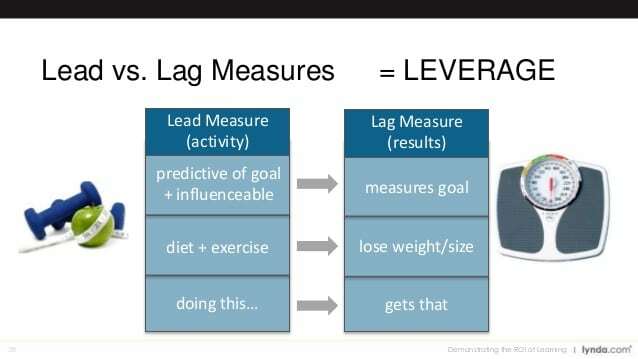 You still need to have lag measure goals because they are the final results that you want. The key is what to focus on and what to work on. Once you understand this, let us proceed to the second key on how to make your goals work. The second key is to track your progress. Don’t get it wrong, goal setting is not a one-time work. It is not like during the new year, you set your resolution and then you forget about it throughout the year. It does not work this way. Goal setting is a continuous process that requires your attention along the journey. This is why you must track your record and measure your result. If you don’t measure your result, how can you tell if you are doing things right or if you are getting the results you want? Not only that, if you don’t track your result, you will never get to know when you have win the game. When you say that you want to lose weight, the first thing you need to do is to weight yourself. And then you have to measure your weight from time to time to know if you are losing the weight or you have actually gain more, right? Let’s talk about sports. When you switch on the TV and you see your favorite sport, what do you look at the first thing – The score. Every sport and every competition has got a score. In basketball, you can see the big scoreboard displayed in the middle of the court. You can tell exactly what the scores for both teams are and you can tell how much time left. This is an absolute, crystal clear tracking system that helps the players to know who is leading and when is the deadline. Just like your goals, you need to track your progress and your scores like the professional athletes do. When the score is there, people will treat their goals more seriously. Can you imagine watching a basketball match without the score and which team wins does not matter? Do you think the players will play it seriously? If it is not a competition, people will never take it seriously. And to create a competition, you need to have a scoring system. You don’t have to compete with others. You can compete with yourself. By consistently tracking your progress, you will know whether you are winning or you are losing. And the final key to making your goals work is this – action. Without action, nothing will ever work. Action is the gap between your dreams and your reality. So to make your dreams a reality, you must close the gap by taking action. Don’t be like most people. Most people will only dream about their dreams. They think about what they want and they imagine the perfect life that they want. But that’s about it. All they do is they think about it. They never really do anything concrete to transform what they want in their mind into reality. The question now is this, why most people never wanted to take action? There are a couple of reasons behind, one of the main reasons people are not taking action to reach their goals is because their purpose for the goals are not strong enough. And depending on how powerful your purposes are going to be, they will determine your level of motivation and commitment. I’m saying that if your purpose to achieve your goal is strong enough, you will do whatever it takes to achieve it. You will commit to it and you will take action to reach it. There’s an example I love giving. Imagine if you’re a smoker and you have tried to quit smoking many times, but to no avail. You automatically pick up the cigarette and continue to smoke. Until one day, when you become a father and you do not want to give bad example to your children, you stop smoking and quit the bad habit instantly. From the story above, nothing changes, except for the fact that your purpose to quit smoking has become strong enough so that you stop doing it. Therefore, the key behind your motivation, your drive and your commitment comes from your purpose. You must make your purpose strong enough that you will want to jump out of bed early in the morning to take action whenever you think about it. So how do you make your purpose strong? Simple, make it as emotional as possible and try to associate with pain and pleasure. Why do you want to reach your goals? Why are your goals important? Are your reasons emotional enough? Think about losing weight. You have no motivation to get to the gym or to get change and go for jogging. But when the time comes where your wedding is next month, suddenly you have a strong emotional reason behind. You will work hard to lose the weight because you want to look slim and good in your wedding. You have to find that strong emotional reason. When you found it, you will never NOT to take action. I love the teachings from Robin Sharma, the author who wrote The Monk Who Sold His Ferrari. It is a very interesting book and I will suggest you to get it. Well, what Robin suggests is that you don’t have to take big action. You just need to take 5 small little consistent actions that will move you toward your goals each day. Every day, 5 small little actions, and within a year, you will have accomplished 1825 small victories. And these 1825 small wins will definitely leave a positive impact in your life. Success will never come to you that fast. It takes time. Just like a baby has to go through gestation of 9 months before she was born into the world. Your success will require time too. Like how Bill Gates built up Microsoft and how Steve Jobs created Apple. They all took time to grow into billion-dollar business empire. It is not a one day work and their success definitely does not spring from just one decision or one action. When you understand this, you can then focus in taking action. I have shared with you the 3 keys how to make your goals work for you. Like what I have mentioned, majority of people don’t focus on the lead measure, they don’t track their progress and they don’t take consistent action. If you seriously follow through and apply these 3 keys into your goal setting journey, you will have no issue reaching what you want. It is just a matter of time. And how fast you want to make it come true; it will be depending on your lead measure. So have you made up your mind to go for what you want? It is going to be a bumpy ride, but also an exciting one. Let me know what you think about this article. Share with me what you think in the comment section below. I am not fired up at all.. I am even more laced than I thought I knew I was..
Not because of this post.. but because of my weights..
My daughter died in 2016.. In 2013 she found out of her cancers..
Hopefully, you will be able to find new lights soon and move forward in life. Thank you for this great article! I usually have difficulties in following through with my goals but mainly because they are not concrete enough and there is no deadline for them. Thank you so much Lim…! It was really of a Great help to me. I’ve currently been working on setting up a clear goal setting/tracking plan for myself and my kids so we can work on setting and accomplishing goals as a family. Your article is a great inspiration! Coincidentally, I just finished Stephen Covey’s 7 Habits of Highly Effective People a couple weeks ago, which was a great book. Reading his son’s book that you recommended will be an excellent follow up to that! Thanks for the inspirational article and great book recommendation!